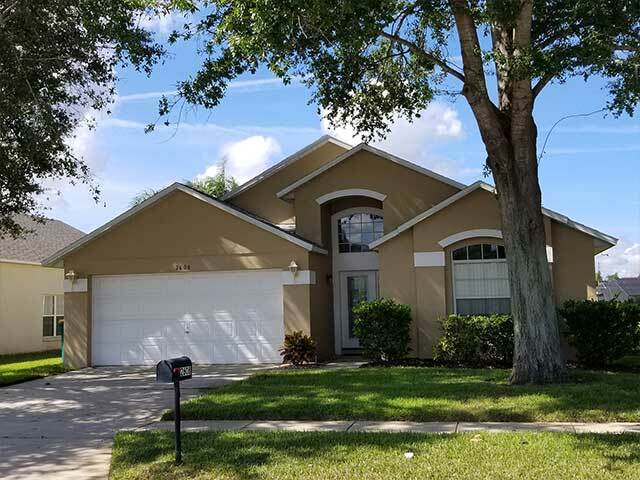 This 4 bedroom, 3 bathroom, family villa is ideally situated in the peaceful residential neighborhood of Rolling Hills at Formosa Gardens – so close to Disney that it’s almost on Mickey’s doorstep! Epcot’s nightly fireworks are visible across the rooftops, and the villa’s great location offers quick and easy access to all the Orlando area attractions! The Disney theme parks are only 3 miles away (about 5 minutes by car), and the US 192 strip, with its numerous shops, bars and restaurants, is only two minutes down the road. All the other popular Orlando attractions (eg, Universal Studios, Sea World, Wet’n’Wild) and shopping can be reached in only 20 minutes. Some other villas may claim to be “close” to the attractions, but make sure you check the location before deciding where to rent for your Orlando vacation! The large, screened pool deck behind the villa overlooks a tranquil lake, visited by a variety of local wildlife, and has its own private, heated swimming pool and spa, luxury patio furniture, and a spacious shady lanai. Cook dinner on the gas BBQ grill, dine “al fresco” by the pool, and enjoy the view! Electronic safe for the security of your valuables included. 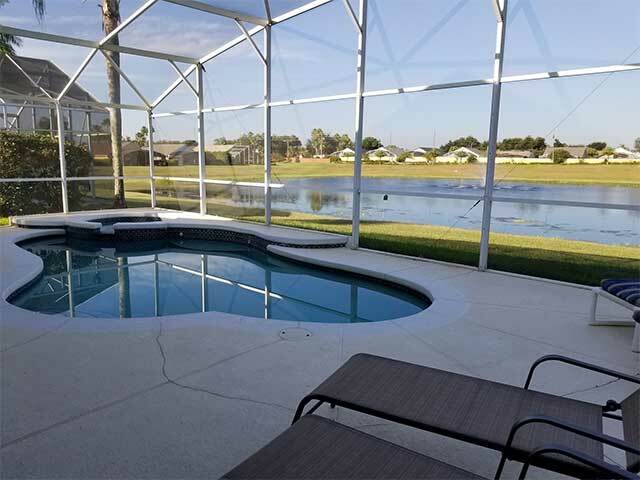 This Orlando villa rental has everything you need to make your well earned Florida vacation one to remember! Bring your laptop with you, and you’ll be able to use the villa’s Wireless High Speed Internet connection to stay in touch! This villa also boasts a fully equipped kitchen, a comfortable lounge, and cable TV & DVD in every bedroom. There are two master suites, each with its own private bathroom, making this villa ideal for two families to share – take some good friends on holiday with you, and you could cut your accommodation costs in half! How’s that for a bargain? Please take a look around our Florida home-from-home, and when you’re convinced that renting this villa, located so conveniently for Disney and the other Orlando area attractions, offers a significantly more enjoyable vacation experience than staying in a hotel, get in touch with us, and you can start planning your next holiday in Orlando!